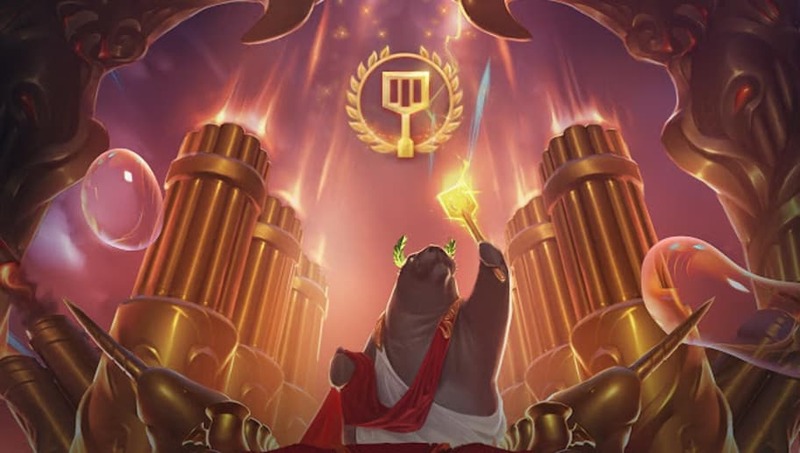 ​Golden Spatula Club is an exclusive League of Legends bonus you can purchase on your account during the Lunar Revel 2019 event. The Golden Spatula Club is an add-on to the All Random Ultra Rapid Fire + mode, or ARURF+, and gives players certain boosts and extra bonuses. Here's everything you need to know about the Golden Spatula Club in League of Legends. The Golden Spatula Club is available on the League of Legends shop for 1250 Riot Points. ​It was initially available on the PBE for 1 blue essence to try out. The Golden Spatula Club is a new addition for this year's Lunar Revel event. The bonus comes alongside ​new Lunar Revel skins Coin Emperor Tahm Kench, Firecracker Sejunai, Firecracker Vayne and Prestige Firecracker Vayne. League of Legends Patch 9.2 also included the introducing of Sylas the Unshackled, ​Galio and Irelia balance changes and more.